In this brand-new collection of the NEW YORK TIMES BESTSELLING series Big Nate, everyone's favorite prankster takes on everything from epic snowball fights to sixth-grade crushes, with plenty of hilarious misadventures along the way. Look out, Big Nate fans—it’s payback time! In this brand-new collection of Big Nate comics, Nate develops a mysterious allergy to Mrs. Godfrey, wages epic snowball fights with Teddy and Francis, and even takes a nervous newbie under his wing during detention. But after a disastrous run-in with Randy in the cafetorium, our hero faces a dreaded after-school showdown on the soccer field. Will Nate survive or get kicked around? 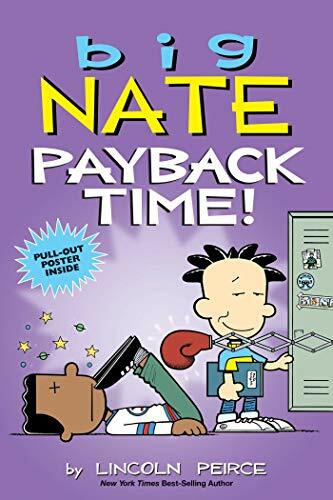 From wedgies and food fights to Halloween pranks and sixth-grade crushes, Big Nate: Payback Time! has got it all.